How would you like a unique career opportunity that can provide challenging work, a dynamic indoor/outdoor environment, career advancement, and a team of highly motivated people to help you succeed? You can have all of that when you work at CarMax! As a part of our CarMax store purchasing team, a Buyer Assistant is responsible for vehicle optioning and imaging for the CarMax website, securing purchased vehicles, completing visual vehicle inspections as a part of the vehicle transfer process and working with the purchasing team to hold on-site auctions. A Buyer Assistant will also work with other departments to ensure that the needs of the business are met. A strong commitment to customer service, good communication skills and attention to detail is required for this position. Ideal candidates will come from various backgrounds including retail, restaurant service and other service oriented positions. This position requires the ability to work a flexible schedule including nights and weekends in a fast paced retail environment. Position also requires the ability to work indoors/outdoors in a “hands-on” environment. 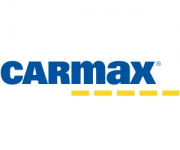 Successful performance can lead to excellent career opportunities with CarMax!